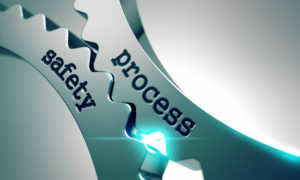 Process Safety » A-P-T Research, Inc.
OSHA Voluntary Protection Program (VPP) consultation and implementation. Once a company is certified, this program makes it exempt from future OSHA inspections, and is similar to ISO certification from a safety perspective. Reviewing and revising your Emergency Response Plan or Workplace Violence Plan to include active threat risks. Reviewing your communication plan to ensure employees are informed during these situations. Providing onsite awareness training based on the principles set forth by Homeland Security. Performing tabletop drills to talk through how you would handle this type of emergency. Holding live drills to have employees physically walk through their planned actions. Assisting with a Building Vulnerability Assessment to determine potential gaps. Developing flyers, posters, or other materials to communicate key points to employees. Clients employing APT for PSM can expect the same top-level of quality and expertise afforded to our customers in the other areas of safety analyses and engineering which is the cornerstone of APT’s existence, proven over several decades.